Amy Miller of Bernice Vossbeck Elementary School in Washington state (left) and others respond to a question at the International Teacher Leadership Conference. 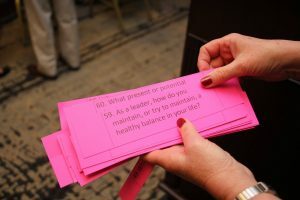 Conference attendees took part in discussions and exercises to define “teacher leadership” and the impact teacher leaders can play in schools. Monica Cespedes of Miami-Dade County Public Schools speaks with UF doctoral student Vera Wei Mawas at the International Teacher Leadership Conference. Cespedes is a graduate UF’s Teacher Leadership for School Improvement graduate program. 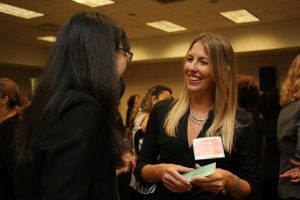 The University of Florida College of Education’s first international conference on teacher leadership drew more than 350 scholars and practitioners to explore the crucial role a new generation of “teacher leaders” can have in improving schools and student achievement. The conference, held March 2-3 in Miami, brought together scholars and practitioners from across the country and the United Kingdom, Sweden, Canada and the Netherlands. 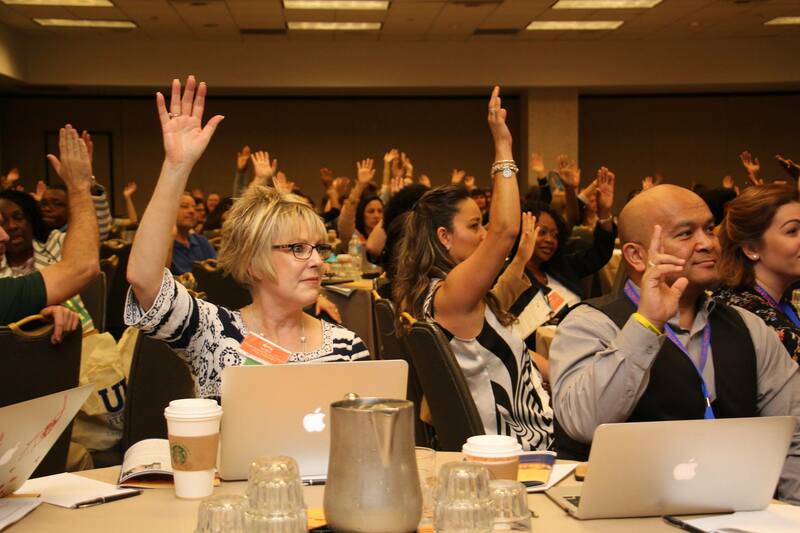 The conference, titled “Co-constructing a New Vision for Teacher Leadership,” featured more than 60 presentations, workshops and speeches from world-class education researchers and authors. Keynote speakers included urban education expert Gloria Ladson-Billings of the University of Wisconsin, UF’s Nancy Fichtman Dana, author and authority on teacher inquiry, and Cambridge University Professor Emeritus John MacBeath, the director of Leadership and Learning at the Cambridge Network. The activities centered on the emerging field of teacher leadership, which aims to increase teacher involvement and influence over school policies, practices and outcomes to improve teaching and learning. Many of the attendees also visited four school sites to see teacher leadership in action across South Florida. The conference was co-sponsored by the international academic journal, Professional Development in Education.